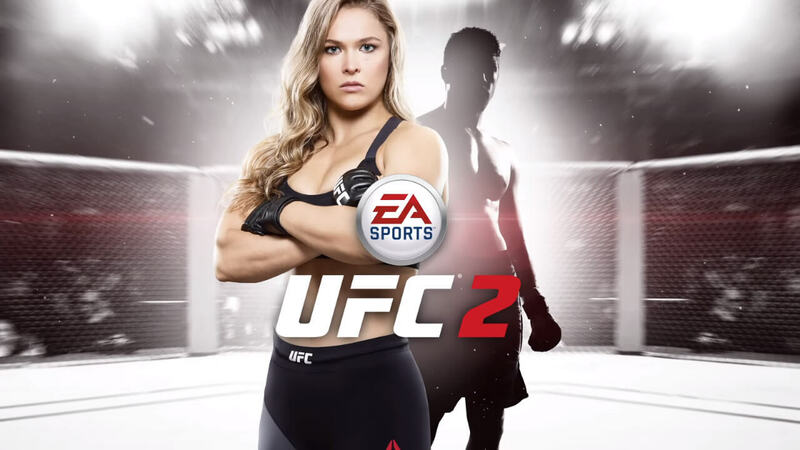 EA announced one of their featured athletes for the upcoming UFC 2 game, none other than the dominant Ronda Rousey. Since her rise through the ranks in the last 12-14 months, Rousey has become world-renowned for her talent, popping up in commercials, online ads and PSA’s, and even big budget movies like Entourage. It was definitely part of the EA hype machine to have Rousey named as the female cover athlete just hours before her big UFC: 193 fight versus Holly Holm. What “Mark from Marketing” (credit to Christian Spicer for the term there) couldn’t predict, was the undefeated champ getting KO’d in the second round of the headliner match on November 14th. So the question must be asked right? Did the “Madden Curse” hop over to the UFC? Was there some bad ju-ju in the air as Holm was able to top Rousey in a massive upset win? Well, we’ll never really know, but either way it doesn’t take away from the amazing talent and work Rousey has done in the world of MMA and Women’s UFC fighting. As a gamer myself, it’s pretty surreal to be on the cover of the game and to have a woman on the cover of a UFC game shows a lot of progress. I’m really happy to be involved with it. That’s really great to hear, knowing how excited and involved an athlete wants to get in the process. Hopefully for UFC and fighting fans, that can translate to the final product that’s expected to be released in the spring of 2016. The male fighter has yet to be named or revealed, but judging by how EA and the UFC announced Rousey’s involvement, look for it to come before a big title fight at the next UFC PPV or two.